Julio Acosta Matos (MSc in Biodiversity, Conservation and Management 2017-18), Katharine Bevan (BA in Geography 2016-19), Hanno Brankamp (DPhil in Geography and the Environment 2015-2019), Anabelle Cardoso (DPhil in Geography and the Environment 2015-18), Colin Higgins (MSc in Nature, Society and Environmental Governance 2017-18), Christina Joynt (MSc Water Science, Policy and Management 2017-18), Shona Loong (DPhil in Geography and the Environment 2017-2021), Bernard Soubry (DPhil in Geography and the Environment 2017-2020), Rupert Stuart-Smith (BA in Geography 2016-19), Jiayin Sun (BA Geography 2016-19). … and thanks to all participants of the competition! We proudly present our fifth SoGE Calendar, featuring the winning pictures from a photographic competition we ran over the summer. The wall calendar has lots of space for your diary dates and notes as well as for the gorgeous photographs taken in 11 countries around the globe. On the first of each month, right click the appropriate picture file and select "Set as desktop background" or "Set as wallpaper" (depending on device). Every summer, we invite all our students to submit their best field trip and field work shots and tell us their stories 'from the field' - a judging panel consisting of School academics and staff choose the 14 best ones to showcase the breadth of work our students across all courses are doing all over the world. The calendar runs from December 2017 until January 2019. Wall Calendar, 270 mm x 210 mm, 16 pages. "All encounters with 'the field' are precious to geographers, challenging our ideas and preconceptions and enabling us to put theories into practice. This collection of images and stories reflects the inspiration our students gain from their field courses and individual research visits. 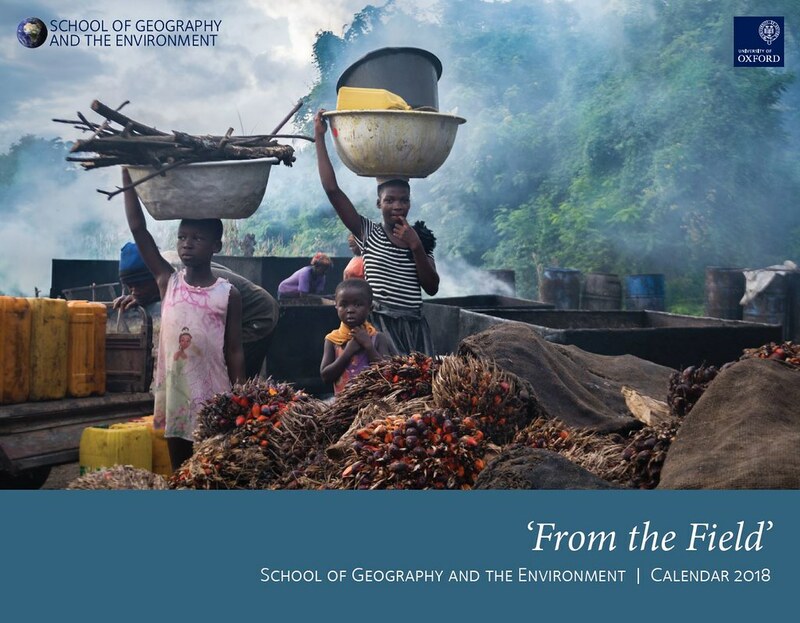 They document how geographers interact with people and environments in far flung places as well as closer to home. They illustrate what it means to be a geographer, recording the beauty of landscape and our engagement with it."